An Award Winning Fresh FM Ibadan Best Indigenous Radio Station, a commercial radio station operating in Ibadan, Oyo State and with a reach extending to other parts of Oyo as well as Ogun State. It is the brainchild of renowned Entertainer, Yinka Ayefele (MON), and is positioned to promote, complement and revamp the entertainment and lifestyle sphere in Ibadan. The station is conveniently located at Yinka Ayefele Music House, on the Lagos – Ibadan by-pass road, Felele, Ibadan. 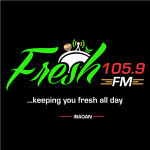 Listeners of Fresh FM Ibadan can look forward to a blend of quality programming, music, news and sports; with heavy emphasis on lifestyle and entertainment; in English and Yoruba. The station also intends to interact with the local social, political, religious and institutional communities. Fresh 105.9 FM is on air from 5:00 am – 1:00 am While we stream online all night transmission extends till 5:00 am. We have an exciting array of personalities as well as a team of vibrant and innovative marketing and administrative staff. 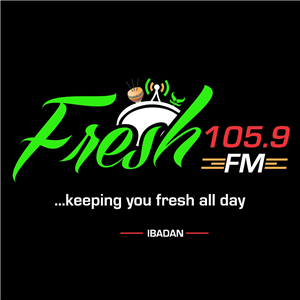 Fresh 105.9 FM Ibadan is open for business, and looks forward to entertaining Ibadan, and we look forward to doing business with you!